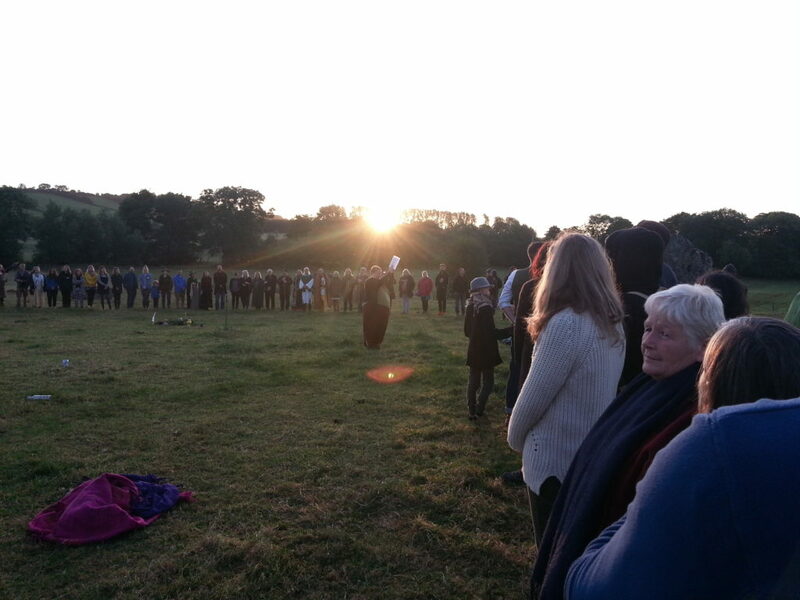 I took a posse of yoga enthusiasts to Stanton Drew stone circle this morning to greet the sunrise at the Summer Solstice on International Yoga Day. We practiced Suryana Maskar (sun salutation vinyasa) facing East, getting a powerful dose of solar energy and joined in with the Druid/Pagan ceremonies taking place there. A woman called Carly (not Kali) tells me the vinyasa was originally devised to help channel the sexual energies of adolescent males in India. How strange for it to be such a feature of hatha yoga classes in village/sports halls in the UK, where often the bulk of participants are late middle age females. 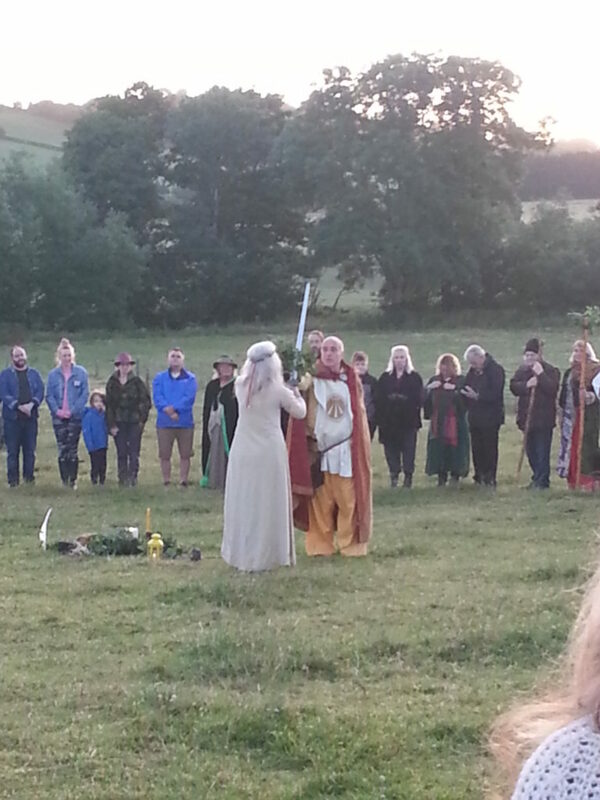 Rites were performed by various Druid/Pagan officials- male and female. Perhaps most significant (with the exception of the sun’s rising) was when a white robed priestess pierced the oaken crown we all wore briefly, after it was passed around a large circle of devotees and initiates. An interesting aspect of the ceremony was the way we all joined hands and made a sound similar to the sacred Hindu syllable: Om or Aum. We do this at Yoga for Blokes as a way of working with sound and creating a bond between us. The Oak (Quercus robur) is sacred to Druids. It was interesting to see a woman brandishing a broad sword, with all it’s phallic connotations, eventually thrust it through the receptive crown held by a male priest (also robed). After much singing and drum beating, the four gates were closed and the stag of the South? had to stop rutting and make way for circle dancing. We juxtaposed our yoga mats amongst the cow turds and set to with a Hindu inspired addition to the Solstice. The Great Circle at Stanton Drew is a notable place to practice yoga. Folk lore has it the stones are petrified members of a wedding group, coerced by Old Nick to celebrate on the Sabbath – then punished for their partying. Such circles of stone date back to the Late Neolithic, around 3000 – 2500 BC – almost as ancient as yoga!